You can’t undervalue the importance of the right bed linen in your home to help you nestle in for a comfortable night’s sleep. With this in mind, care should be taken when selecting your collection of sheets, duvet covers and pillowcases. We understand that every taste will be different so we have a wide range of linen to choose from. Our range of polycotton linen is made from a blend of 180 long-lasting polyester and soft cotton threads. Not only are they extremely comfortable, they are also easy to machine wash, dry and iron before use. Our Egyptian cotton makes for a strong yet soft exterior; featuring an extra-long staple for a soft handle. This range of linen includes a 200-thread count, which makes for a durable yet comfortable material which is easy to care for. For an extra comfy night’s sleep, the Sumptuous Pima Cotton range is on hand to add a touch of luxury to your bed wear. The cotton is collected from various parts of the world, equipped with an extended staple for a consistently reliable finish. For the most supreme offerings in bed linen, our Exquisite Genuisa range is a mixture of deluxe duvet covers, pillowcases and sheets. Its silk-like texture makes for a lusciously luxurious feel, combined with a 1000-thread satin weave for that extra sturdiness also. The collection is machine washable as well as suitable for tumble drying. Our Egyptian Cotton range comes in two selections, Crisp & Fresh and Soft & Silky. These both provide a soft, crisp feel against your skin, but each caters individually to your skin type and personal preferences. The tightly-woven cotton is condensed to create a strong fabric which is extremely smooth to the touch. Silk sheets are a top-end choice for bedding accessories, providing you with extra comfort when wrapped up at night. Its natural characteristics help keep you cool in the summer and warm in the winter, whilst also providing anti-ageing benefits for your skin. 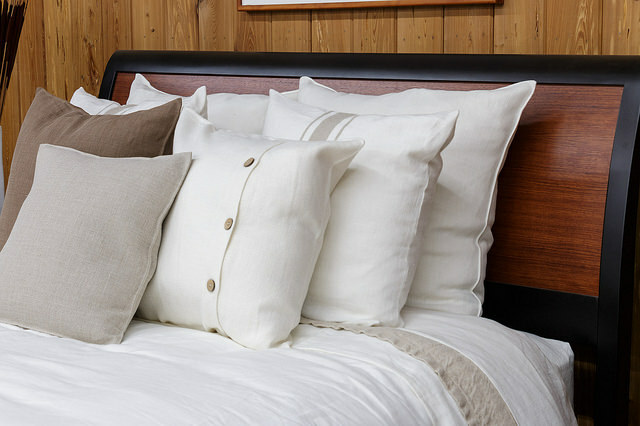 The ‘thread count’ is a common term used when describing the qualities of bed linen. It relates to the number of threads in one inch of its fabric (both horizontally and vertically). In most cases the higher the thread count, the softer the material will feel against the skin. The quality of the thread is also important however, which is something we offer with all our duvet covers, pillowcases and sheeting options. 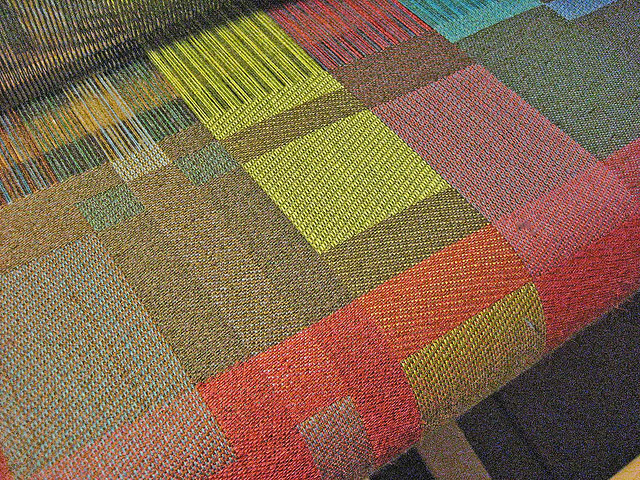 The plain weave uses a simple arrangement of horizontal (warp) and vertical (weft) threads in a traditional criss-cross pattern. The percale weave typically uses at least 200 threads and woven tighter than the plain weave for a smooth finish. Often using cotton or rayon, the sateen weave produces a sturdy finish by using a mostly weft face pattern. Satin weaves are sewn to produce fewer intersections of vertical and horizontal threads, made up of silk, polyester or nylon. 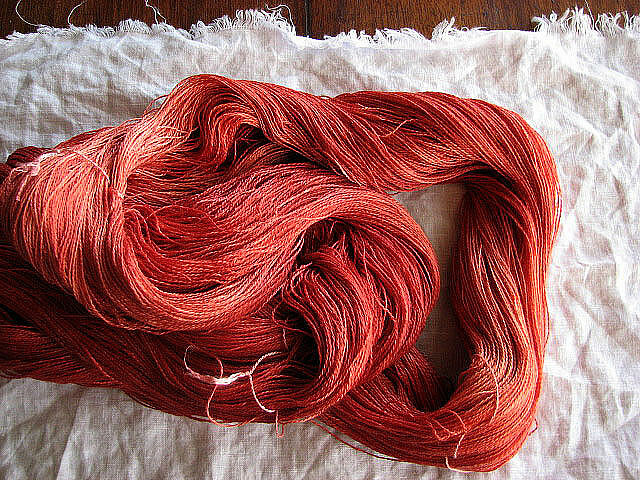 Its fibres are woven in close proximity to produce a tight weave. Created on a specialised jacquard loom, this pattern is more stable and resilient than typically basic weaves. 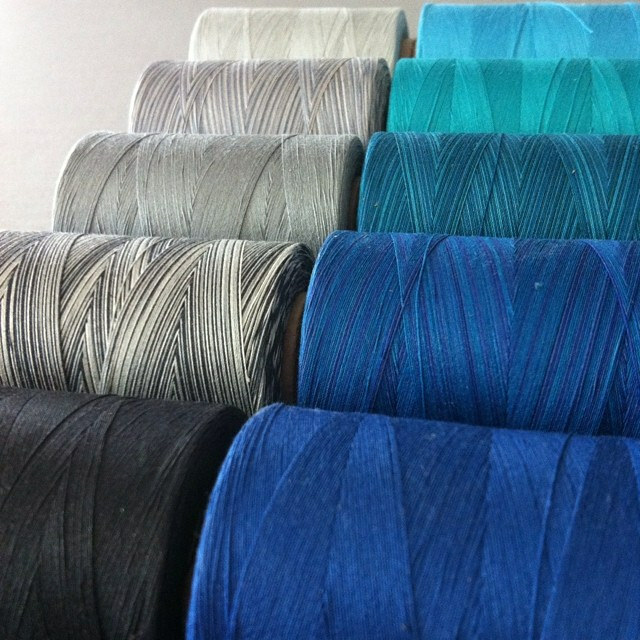 As the warp threads are raised independently, jacquard weaves feel thicker to the touch. Seersucker is an all-cotton fabric, woven to create a narrow stripe always facing in the warp direction. One thread is more tightly woven than the other, producing a crinkled effect. Flannelette weaves encompass a plain texture, using a square pattern. Its unique finish is created when scratched and raised up, thus creating a super-cosy feel. Feature image credit: Didriks via Flickr. If you enjoyed this blog post then perhaps you’d like to read “Why Spring Cleaning Should Be A Monthly Venture“?